Paperback. Pub Date :2014-01-02 Pages: 240 Language: English A Sunday Times bestsellerLonglisted for the Guardian first book awardA Radio 4 Book of the WeekThis book is about learning to live In simple stories of encounter between a psychoanalyst and his patients. . 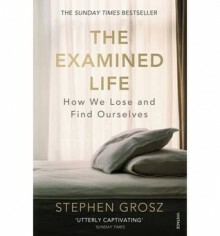 The Examined Life reveals how the art of insight can illuminate the most complicated. confounding and human of experiences.These are stories about our everyday lives: they are about the people we love and the lies that we tell; the changes we bear. and the grief. Ultimately. they show us not only how we lose ourselves but how we might find ourselves too.